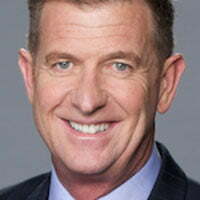 Tim Worner, CEO of the net’s parent company Seven West Media, screened a clip that showed parents objecting to the marriages of their offspring, raising issues of race and homosexuality. However, the format seems uncannily similar to Bride & Prejudice, which premiered on A+E Networks’ US channel FYI in March. Produced by Kinetic Content, the US show follows three star-crossed couples who desperately want to get married but whose family members do not approve of their unions. Seven’s new line-up also includes second seasons of in-house productions Seven Year Switch, which looks at couples on the verge of separation who agree to live with a like-minded new partner in an experimental marriage, and UK fly-on-the-wall dating format First Dates.